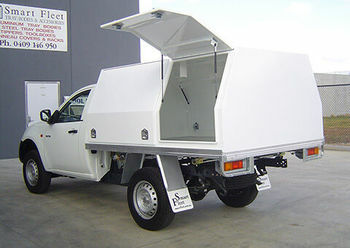 Quality manufactured tray bodies, truck bodies, service bodies, tool boxes & accessories. Ranging from sizes 1650mm long to 4500mm, from general purpose to heavy duty, we have you covered. Ranging from sizes 1650mm long to 2550mm, from Smooth floor std headboard, chq plate floor std headboard and more. 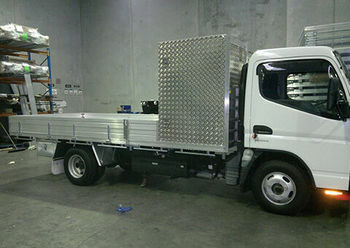 From 2850MM long to 4500MM long, 1842MM wide to 2122 wide, Heavy duty, 303mm heavy duty drop sides, split drop sides. 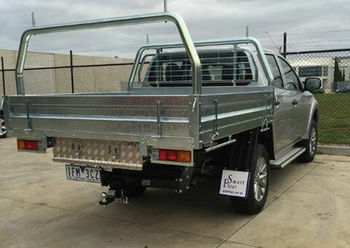 Smart Fleet is an Australian owned and operated family business with over 37 years of body building experience in aluminum and steel. Our commitment to quality and service ensures the value of every Smart Fleet body. We provide the highest quality product and service at the lowest possible price. 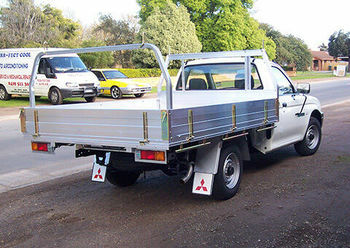 We are proud to be a Distributor of Triple M Truck Bodies. Smart Fleet is committed to quality; all products are manufactured and fitted to Australian Standards and to Motor vehicle Manufacturers standards and recommendations. Spare parts are made downward compatible – We continue to service the customer long after the initial sale.